Note: The location of J22 is unidentified. 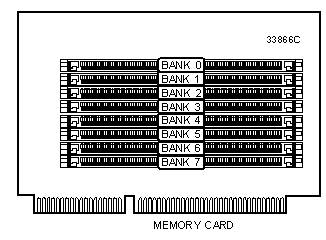 Note: Board accepts EDO memory. Board also accepts 8M x 72 DIMMs. 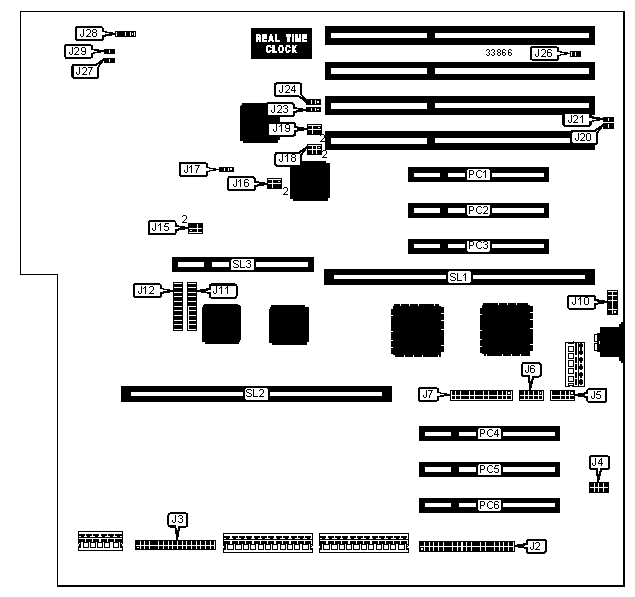 Note: Pins designated should be in the closed position. The location of J190 is unidentified. 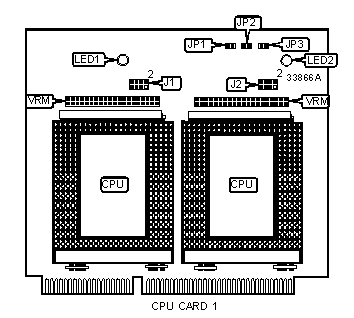 J15 sets CPU card 1 and J190 sets CPU card 2. Note: The LEDs on CPU Card 1 and CPU Card2 are 'overheat' indicators. If any of these LEDs come on on either card, turn computer off as soon as possible to prevent damage.